It’s Tax Day. Time to count your money. But more importantly, time to count your beer. A few months ago, I cleared out a closet of old paint cans and random junk. 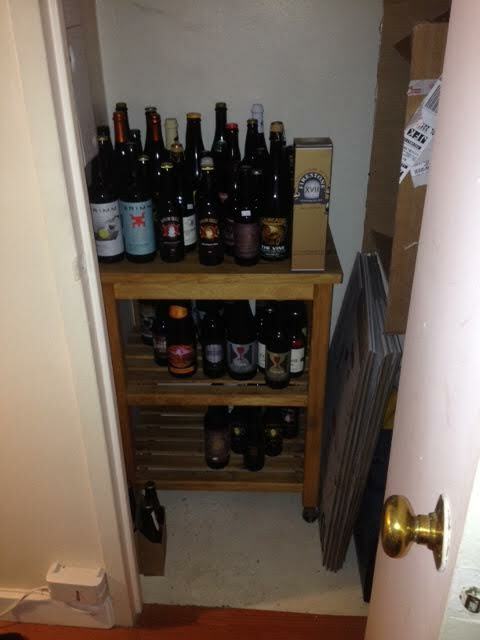 Now it’s my beer closet, NYC’s version of a beer cellar. It’s filled with stouts, sours, old ales, barley wines, and everything in between (except IPAs…drink those asap), from my travels, trades, and constant beer shopping in NYC.